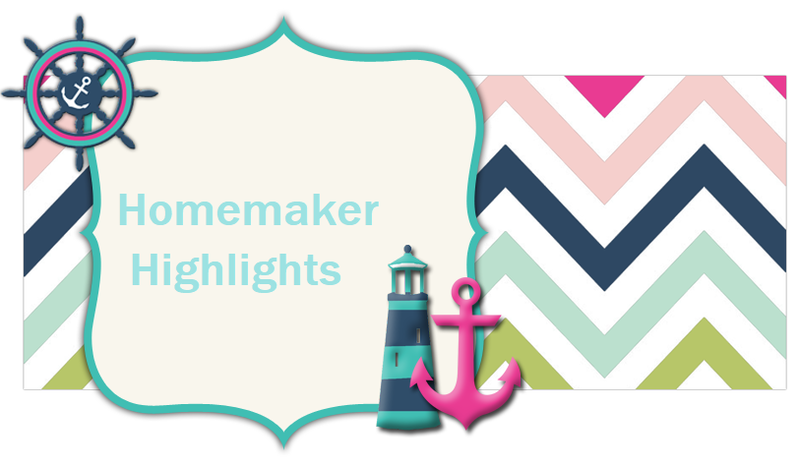 Homemaker Highlights: Our Coupon Clipping Service. Are you looking to get into couponing, but you don't know where to start? Here's a great coupon clipping service to get you started and they have great prices! I personally get (4) inserts on a weekly basis. The problem I have is organizing and clipping my coupons in a timely fashion. I usually shop bi weekly and I find myself trying to play catch up on the night before I plan my trip. For instance tonight, I ended up with about 12 inserts to clip and sort in my binder. 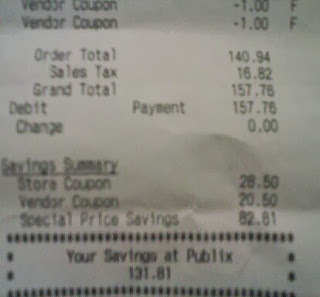 I think that's an issue everyone has with couponing, it can be very time consuming and, at times, a little overwhelming. I would like to introduce you to Our Coupon Clipping Service (Just click on the logo above to take you directly to their site or the logo under the title of my blog). This is a coupon clipping site that covers all the bases. You can subscribe weekly or monthly and you can even buy single coupons. The great part about this service is, they come already clipped!! That's right! They are delivered to your door clipped and all you have to do is organize them. I know some think paying for inserts is crazy and they wonder how you can save money, if you have to spend money. I thought the same thing when I first started couponing. I thought "How on earth can I save money, if I am spending around 40.00 each month on inserts?" I'm going to show you a picture that proves this service will more than pay for itself. This is my last trip to Publix. That was for one grocery trip and I do grocery shopping twice a month. As you can see one trip paid for my coupons three fold!! Now imagine the savings twice a month! I am sold on this concept and love it! Another perk to having a subscription is you know your coupons will be there weekly. I can not tell you how many times I have purchased a local paper and no coupons are in there. I'm not sure where they went (when clearly Smart source and Red plum releases the information on the coupons they will be offering). In our town we do have an issue with people taking coupons out of other papers. With this service you know your coupons are going to be there! There's no guessing or hoping you didn't waste your money on a paper. I highly recommend this Our Coupon Clipping Service and don't think you will be disappointed. The great part is, you can try it once and see how you like it. One week it's not in your budget? Don't order and order the next week. I think that's an awesome option. You can find out weekly what coupons will be released and with so many blogs, there are tons of match ups. Your brand or item not on sale this week? Only buy the inserts on weeks that you need them. I've seen this on TV shows. And It's really good. I love savings. What are the specific magazines that we can get coupons from?